In early 1970’s till about late 1980’s, I used to accompany my Grandfathers, both paternal & maternal, on the shikars close to our ancestral farmlands along River Kosi and as a young child had developed a special bonding with the island forests amidst croplands & the loads of ungulates taking refuge in them, as they used to be the target of my Nana & Dada. 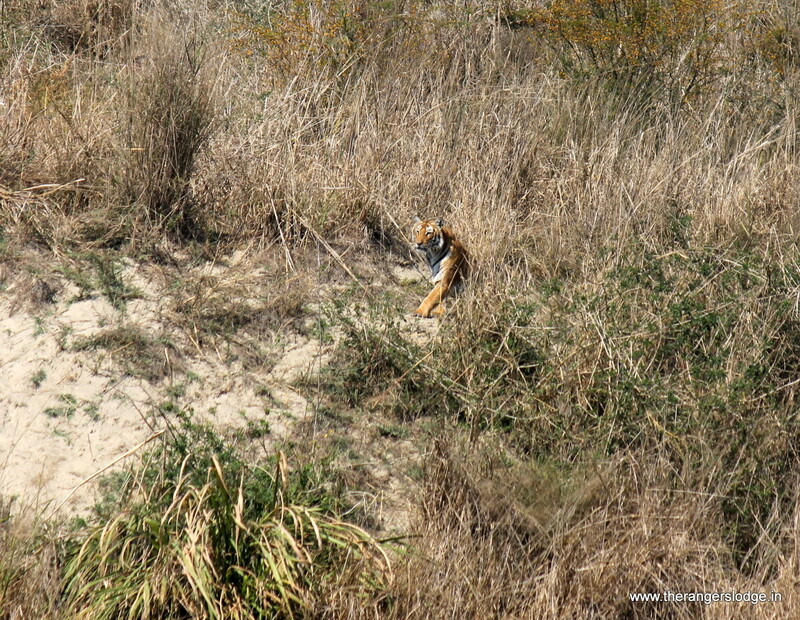 Around this time the forests in the region had maintained a sizeable contiguity & occasionally tigers & leopards were sighted by the farmers of Terai in district Rampur especially in the Tehsils of Swar & Bilaspur. Rampur, being a Nawab estate has the privilege of producing number of Shikaris & most of them had accompanied the Nawab of Rampur on Royal hunts in the erstwhile shooting blocks now falling in Corbett landscape, Kalagarh, Chorgaliya, Ladhiya valley, etc. My Grandparents were never a part of Royal shikars but had inherited the interest in small game comprising Chital, Nilgai, Wild Boar, Hare, Jungle fowl & loads of other air-borne species particularly the Ducks & Waders who used to be in plenty in scores of water bodies within & outside the villages. 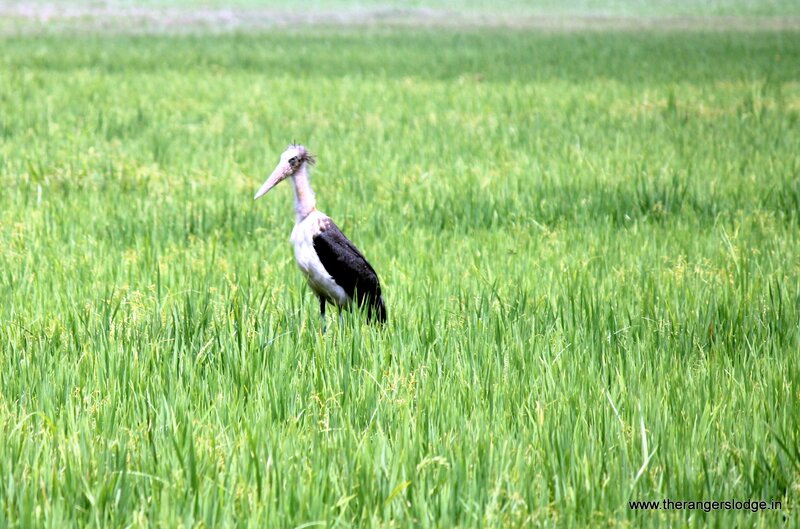 With fond memory, after 4 decades, I could identify Pintails, Ruddy Shelduck, Red-crested Pochard, Eurasian Vigeon, Black-necked Stork, Woolly necked storks, Red-headed Ibis, Sarus Crane, etc. There was no rifle at home then but quite a few Muzzle Loading 12-bore guns were available. Although I helped my grandparents in getting the Muzzle loader ready for the shoot, my inner side kept praying for their shots to miss either birds or any of their target species. 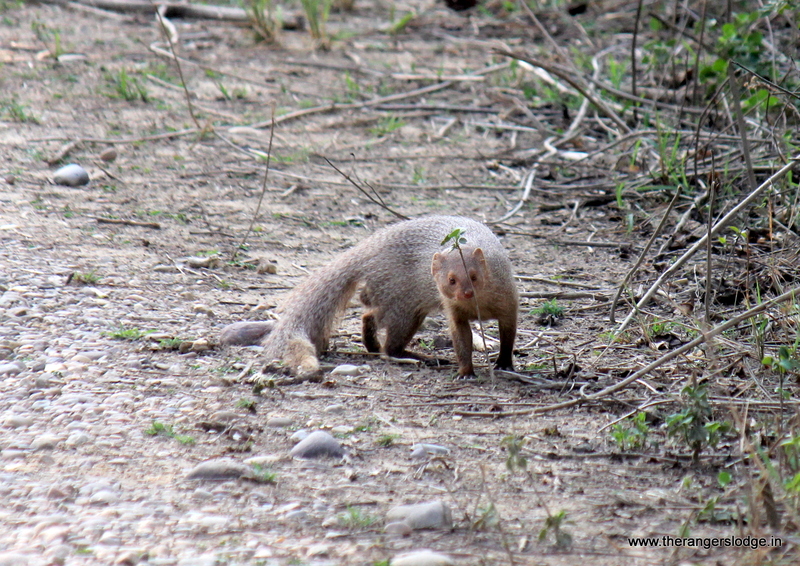 Then, arrived our first rifle, which expanded our excursions to the forests beyond Swar and Bilaspur. I used to accompany them more for my first love instead of having any interest in the rifle & the outcome of the shots fired from it. Here I developed further association with the pure stands of prime tropical moist & dry deciduous Sal & its associated species. 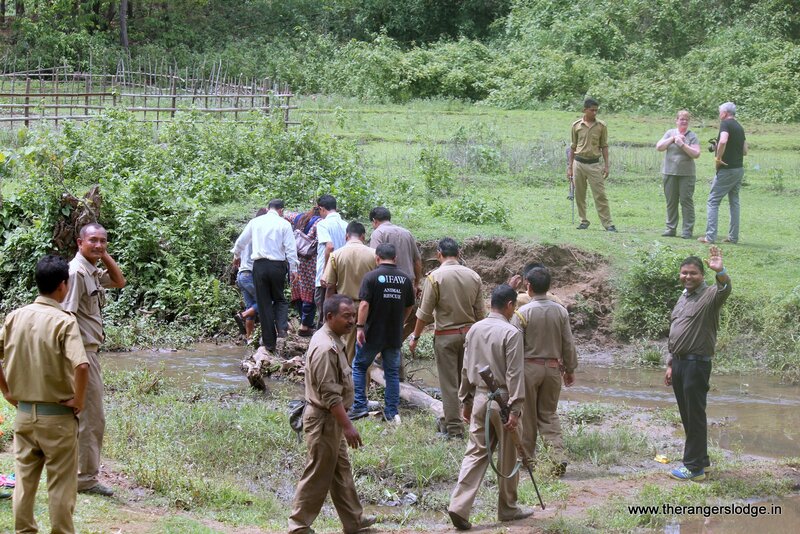 By then the restrictions on Shikars had started getting implemented and this was the end of our shikar trails. 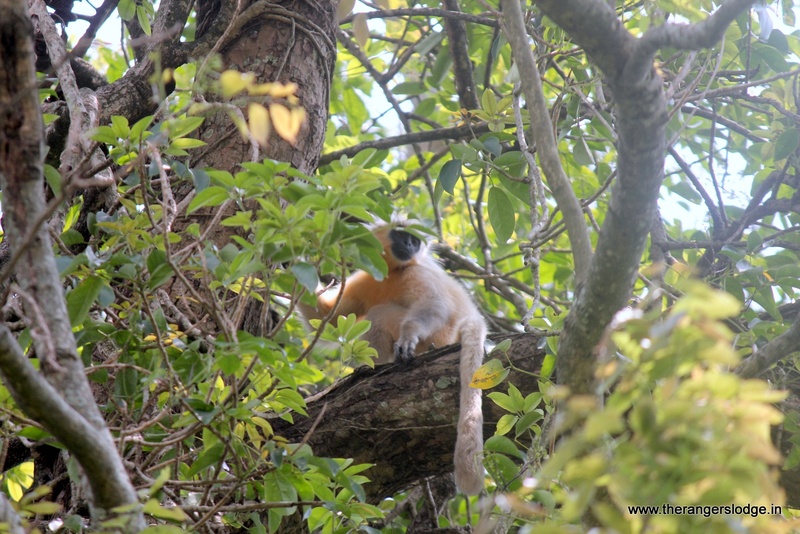 My father could see my growing interest in the jungle & its denizens. During our summer & winter breaks we spent quality childhood time, as supported by my father, along with cousin brothers & sisters, staying at places such as Sitabani, Dhechauri, Kilbury, Maheshkhan, etc. 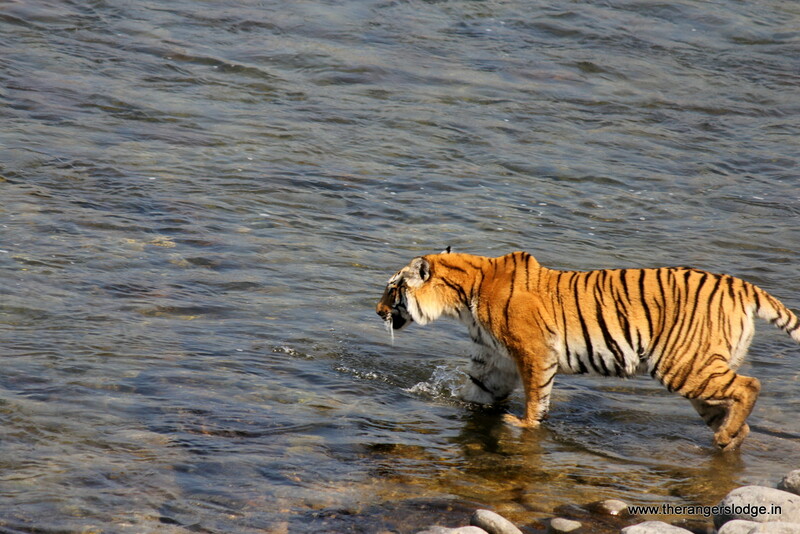 I had never been to Corbett then and interestingly did not have access to either Jim Corbett stories or even his books. Pretty early in the age we had shifted to Aligarh, the educational hub then, for studies while our excursion into the jungles used to be either during summer or winter breaks. The colleges or universities then did not have Environmental or Wildlife conservation studies in their curricula and that led me to opt for organic chemistry as the main subject in Graduation. In my second year of graduation at A.M.U., on the initiative of Late Dr. Salim Ali, A.M.U started Masters in Zoology with specialisation in Wildlife. Then all my best friends were the ones doing that course and they have remained my best buddies till date even they were senior to me. Corbett, Dudhwa & Keoladeo, being the closest national parks, were always visited by the first two batches for their field studies on ecology, biology, management & human dimensions in wildlife conservation. By then the interactions with the seniors became pretty serious, as they all had diverse stories of the forests visited by them. Post my graduation my father encouraged me to do Masters in Bio-chemistry while I was still interested in doing masters in Zoology with specialisation in Wildlife. 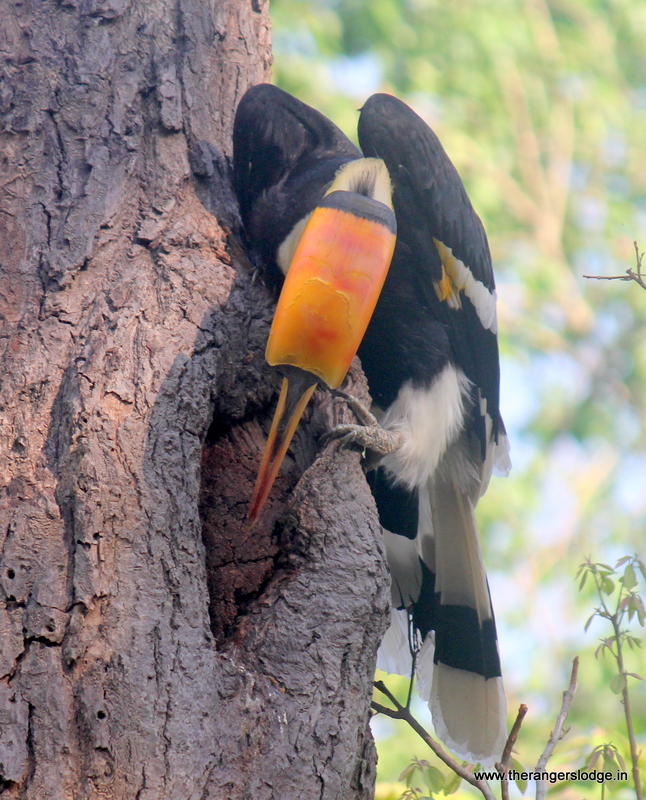 Luck favoured me as another push by late Dr. Salim Ali along with the dedication of Late. Dr. A.H.Musavi who used to teach Anthropology & human evolution to earlier batches, our university, A.M.U., Aligarh, pioneered a full-fledged Masters in Wildlife Sciences and here my father had also played an important role in getting it started. I immediately changed to Wildlife Sciences with the support of my father. 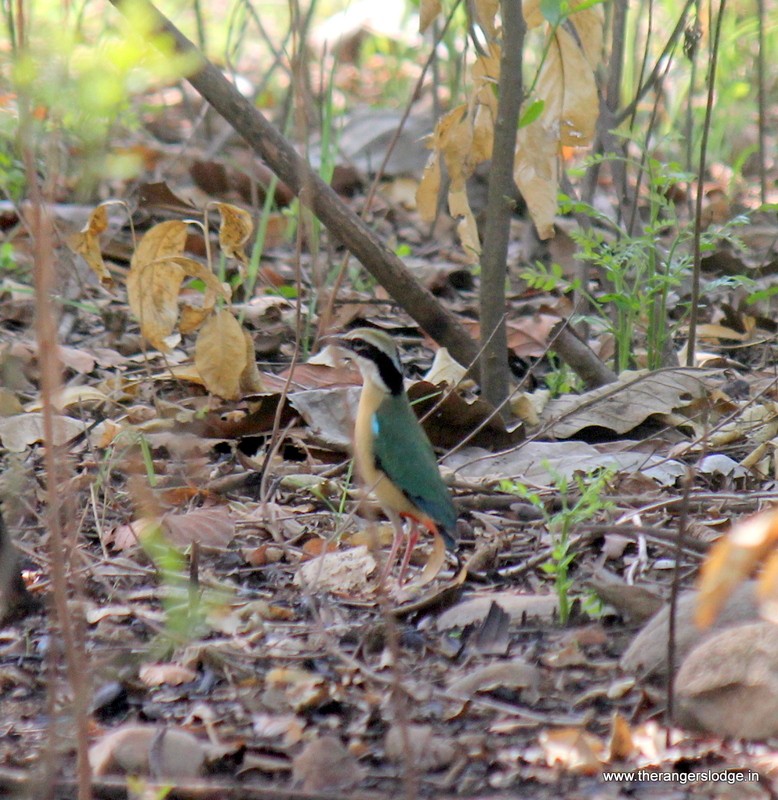 Our field centre was located away from the city at an abandoned Fort with forests still around and that became my favourite grounds to spend some quality time with birds. During the two year course we had visited quite a few National Parks & Wildlife sanctuaries, as a part of field based syllabus of the Masters in Wildlife sciences. 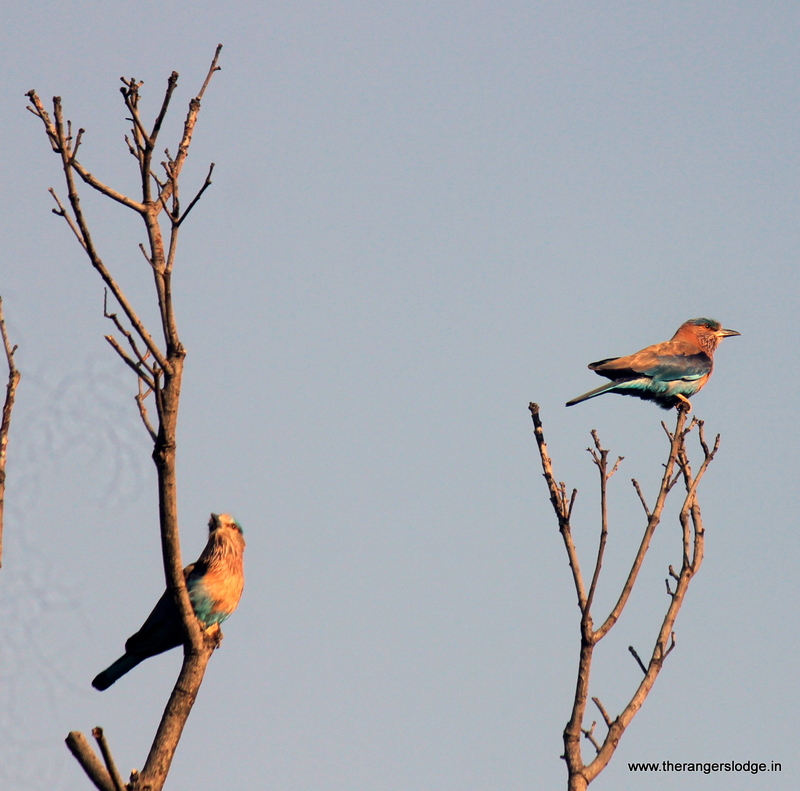 One of these visits brought us to Corbett National Park when we had walked the whole distance from Dhangarhi gate to Dhikala with an overnight at Sarapduli FRH. Around the same time, David Hunt, an expert ornithologist from UK, was killed by tiger later called as ‘Dheetu’. 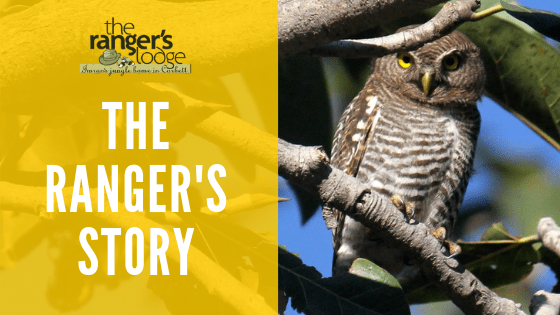 David hunt had been coming to Corbett for many years with bird watchers and in 1986 he had walked into a bush chasing an owl where Dheetu was sitting on his kill & while escaping the tiger had slapped David who later died of profuse bleeding. Then in 1987, I had again visited Corbett for a 3 months project on Grassland management as a part of Masters Degree in Wildlife sciences. Somehow the two trips had profusely ingrained Corbett into my mind absolutely unaware of the fact that later in my life I will be strongly pitching for wildlife tourism as the best tiger conservation tool & Corbett would be my destination forever, although as a young field biologist I had got carried away by the basic ecology of tiger, which being a solitary predator avoided human interspersion in his domain. In 1988, I was awarded the first Dr. Salim Ali fellowship while still completing my Master’s degree. The fellowship money with the arrears encouraged me to visit Corbett & Dudhwa a few more times while still doing my wildlife studies. In 1989 I qualified national test of Wildlife Institute of India (WII) to work as a Junior Research fellow and was assigned a project on “Introduction of Sangai (Manipur Brow-antlered Deer) in Pobitara WLS, Assam”. This was a dream project of Dr. M.K. Ranjit Singh, who as a senior bureaucrat in Govt. 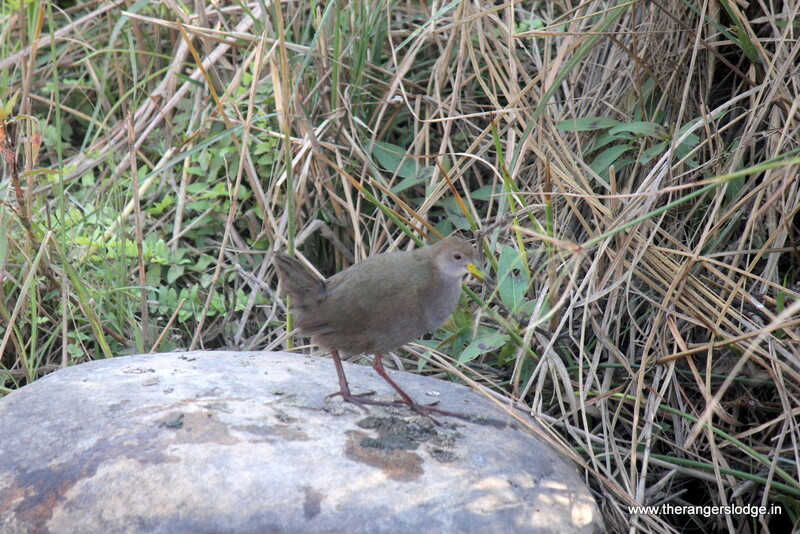 of India had extensively worked on Indian fauna especially in the north-east. 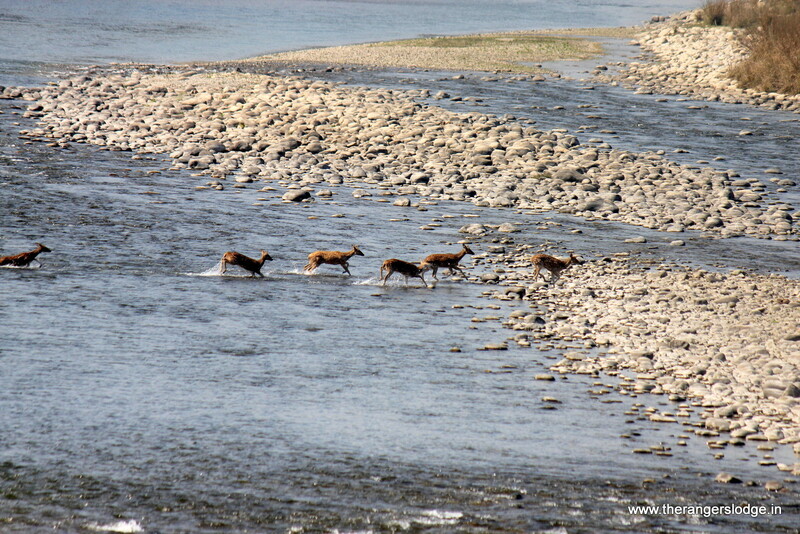 He wasn’t convinced that Phumdi or the floating vegetation in Loktak lake was the preferred habitat of the deer. 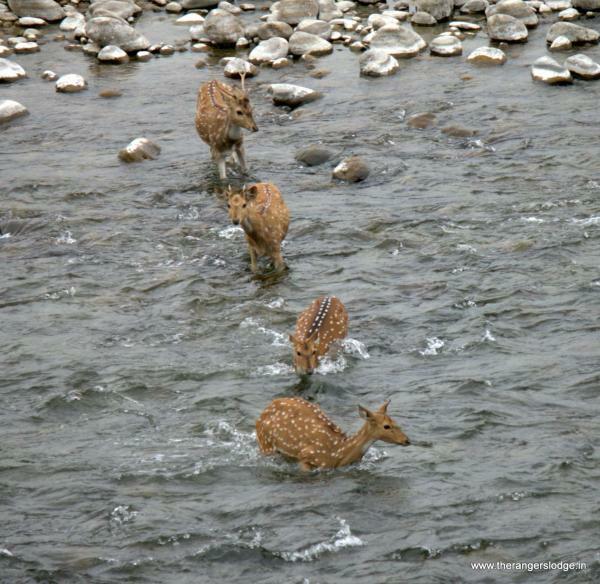 The deer, even till date, has been the most threatened fervid just confined to the phumdis in Loktak lake in Keibul Lamjao National park in Manipur. Later on, Dr. Ranjit singh became the board member of WII and had pushed hard for the project. My job as a researcher was to find a suitable place in Assam, the state was more inclined to research than Manipur then. 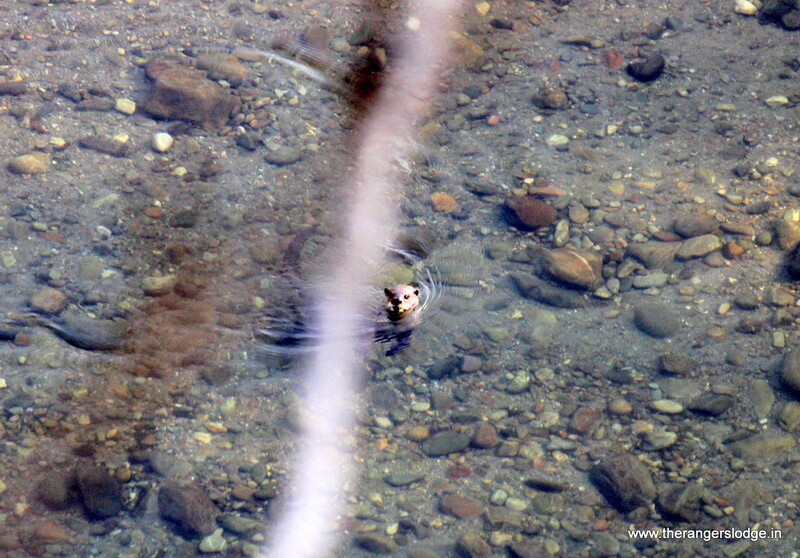 The project envisaged releasing a few captive bred pairs in a similar habitat but without the lake & the floating vegetation. During the Rhino re-introduction in Dudhwa Tiger reserve, 04 rhinos were rehabilitated from Pobitara WLS, close to Guwahati. Kaziranga was more popular as a role model for rhino conservation, hence the onus of providing rhinos to Dudhwa was given to it although the rhinos had come from Pobitara. In late eighties, possibly the highest density of rhinos existed here than in Kaziranga. 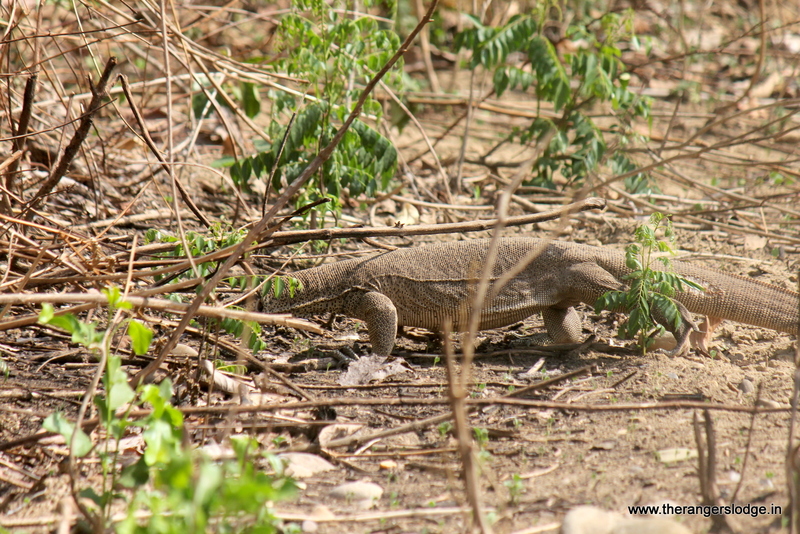 During my surveys, I had discovered 72 rhinos in just 18sqkm of Pobitara WLS. The area of the sanctuary has now increased to triple with 150 rhinos. 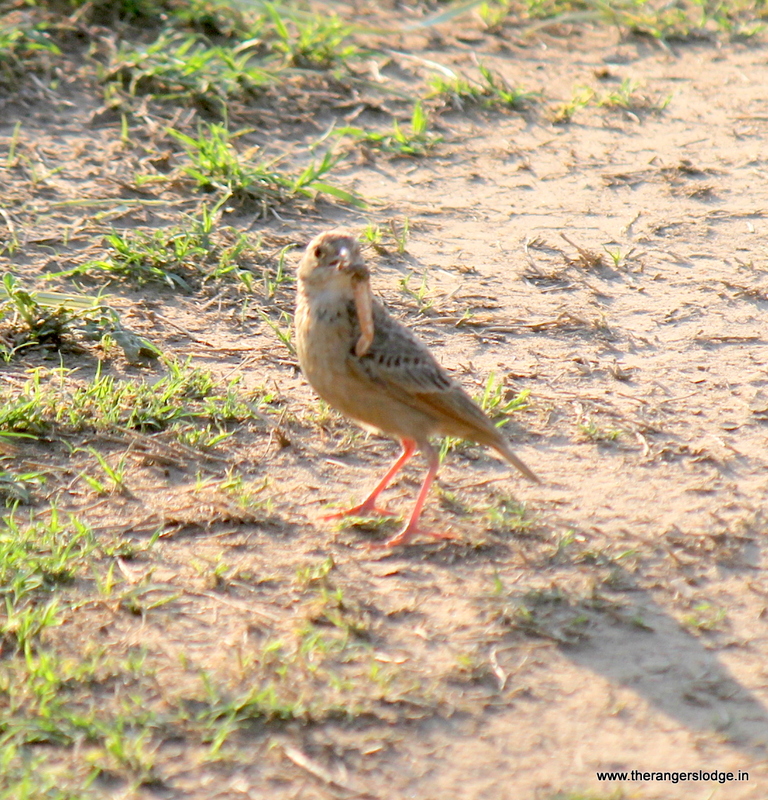 I had found a suitable spot in the grassland close to two beels (lakes formed of the backwaters) and made an enclosure of 1sqkm in order to release 04 pairs from the two different strains of Sangai from Alipore Zoo, Kolkata and Delhi Zoo. 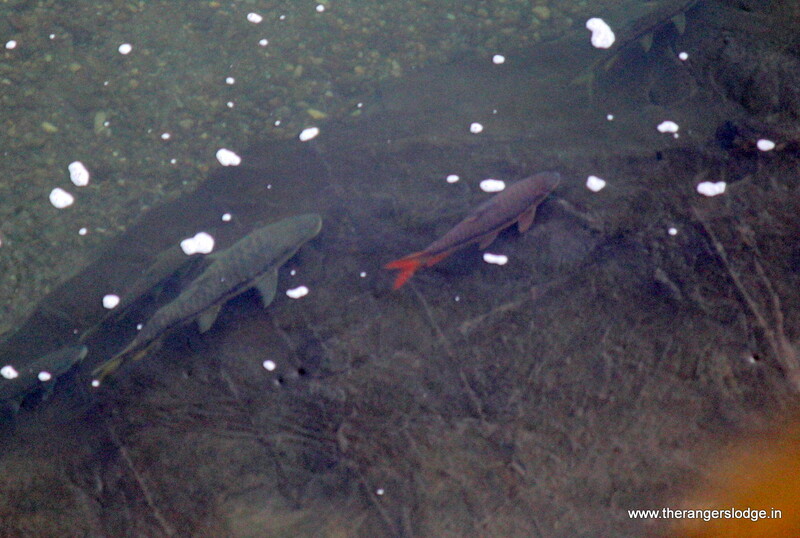 I had done intensive work on the feeding ecology, breeding biology of the two captive strains. Somehow the project was halted in the middle because of political compulsions. I had then taken up the project on National Wildlife database pertaining to Species-habitat distribution as well as bio-geographical classification of Indian Wilderness and their forests-habitats. In the meantime I had also submitted my M.Phil on the “Crop-raiding behaviour of Nilgai in Western Uttar Pradesh” and was successfully awarded in 1992. In 1993 I got a call from Mr. Valmik Thapar from Ranthambhore foundation to work on a project related to Park-People Interface within the landscape of Ranthambhore tiger reserve. 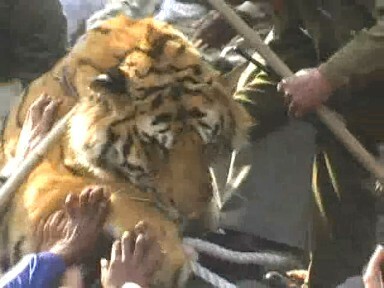 I am yet to see a person more passionate about the plight of the tigers than Valu. His aggression, writing abilities & knowledge about the tiger’s biology & ecology had made him an active member of many Govt. 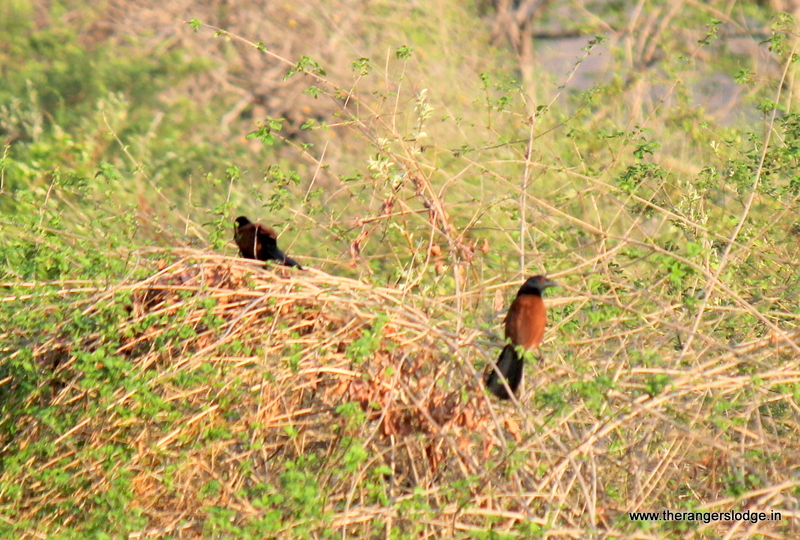 organisations & Committees including the National Board for Wildlife, Supreme Court’s empowered committees, etc. Here I had the privilege of attending umpteenth wildlife related meetings and got the opportunity of meeting many stalwarts of Wildlife conservation in India. 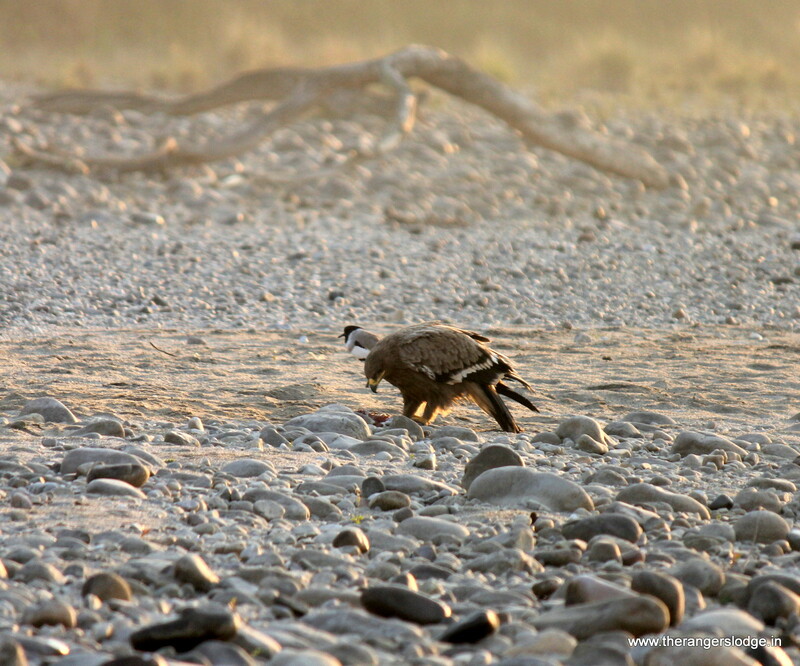 The findings of my study, on the dependence of the local population on the resources of Ranthambhore such as fuel wood, timber, grasses, grazing grounds, minor forest produce & the productive potential of the habitats to sustain that dependence besides straying of ungulates into the crop fields as well as depredation of livestock by tigers & leopards, had given enough fuel to Valmik to speak loud & wide with the govt. 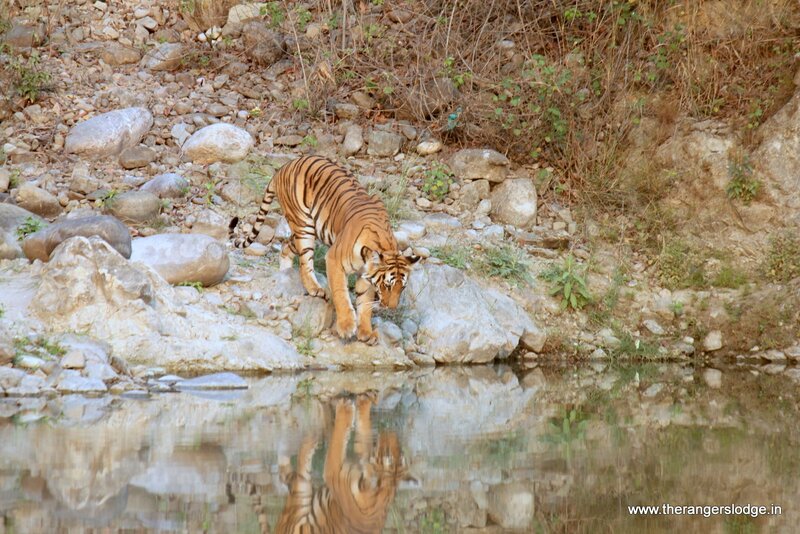 in order to strategise the policies on conservation viz a viz tigers & their natural forests. 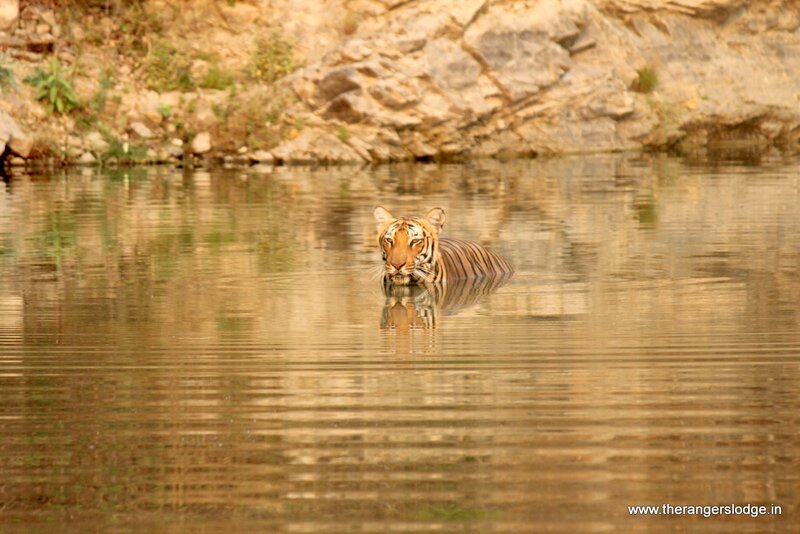 During my research in Ranthambhore, I had realised the potential of wildlife tourism in terms of giving economic benefits to the local communities viz a viz employment & income generation alternatives besides supporting the Govt. expenditure on the conservation. During the sessions in the evening I can recall Valmik’s indifferent as well as aggressive reaction to any idea involving tourism in tiger habitats. I used to put my point across that tigers & their forests are invaluable resources for the humanity but unfortunately carry abstract values, which cannot be immediately quantified. In a developing & democratic country it is impossible to conserve resources which do not give immediate monetary returns and their whole existence deters all other development schemes since they are the constitutional liabilities besides being the favoured topic of discussions for the elites and well fed few. The tourism skills in me were getting trained while I was the blue-eyed boy at the Taj, Sawai Madhopur, being a friend of the then general manager, for I used to give talks on the tigers of Ranthambhore besides the plight of tigers in the entire landscape. One of my mentors, Mr. Vilas Gogate who was the master taxidermist at National Museum of Natural History, New Delhi for more than 4 decades, had met the owners of The Claridges, New Delhi who wanted to set up a restaurant on the lines of Corbett in the outer lawns. 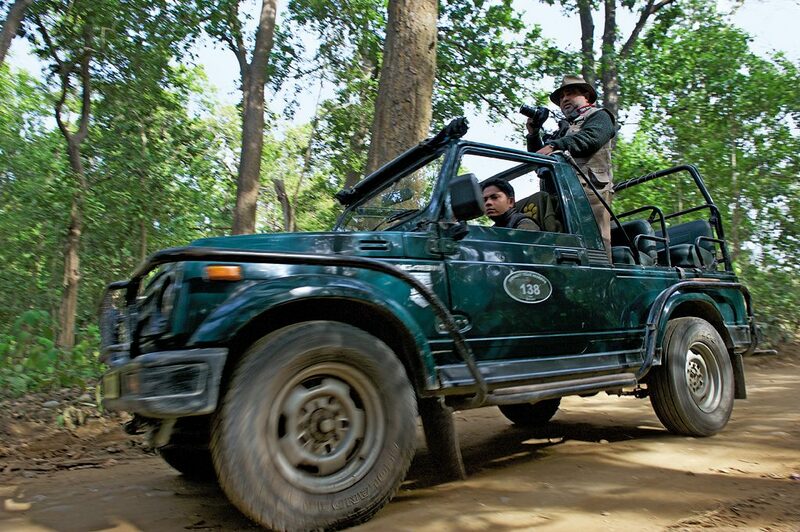 The Claridges, New Delhi, was marketing & managing a resort in Corbett and were looking for a naturalist. Mr. Gogate asked me to join here and implement the idea of tiger conservation through wildlife tourism. 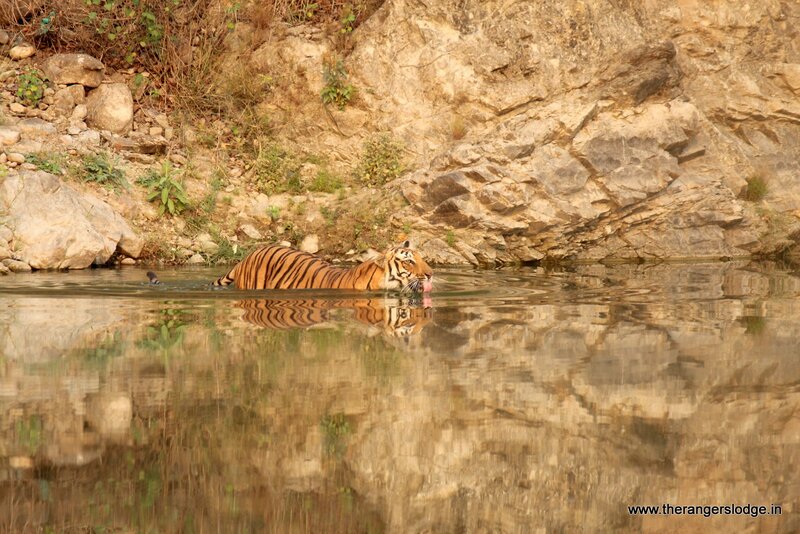 It was the golden opportunity for me to come back to Corbett and then promote tiger conservation through sensible tourism. I realised here that the visitors needed to know the basic inquisitiveness as to “why do we need to save the tigers in their naturally evolved Bio-diverse forests” more than just the tiger sightings & the tigers being the cynosure of all the eyes!!. 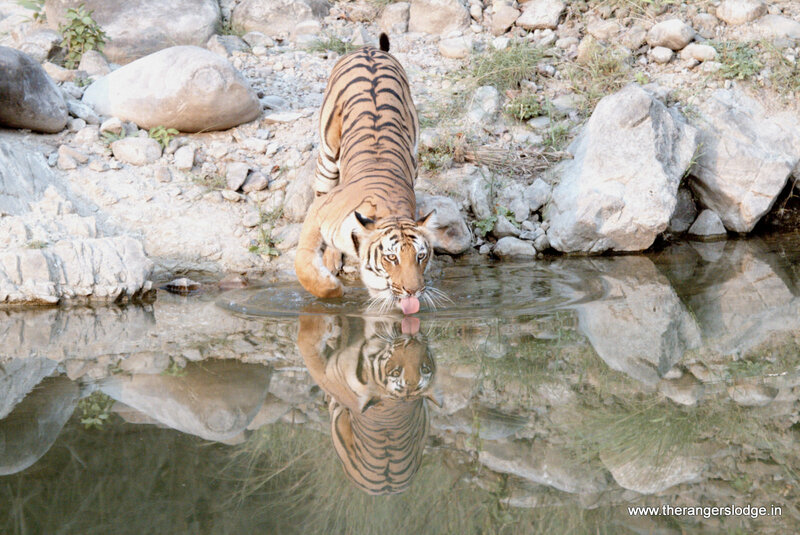 Tigers needed more saviours through their voices & actions and the wide variety of tourists, once educated about the importance of tigers for the humanity, would be the perfect friends & partners in tiger conservation using their positions to generate a strong political will for the tigers & its habitats in natural forests. I recruited a team of guides to work with me and I am proud of the fact that today they have all become very good naturalists and have earned their names through their skills of nature interpretation. I had the privilege of training all the three batches of guides besides scores of drivers. I had pioneered the seating arrangement of the gypsies from vertical to horizontal seeds for better visibility. 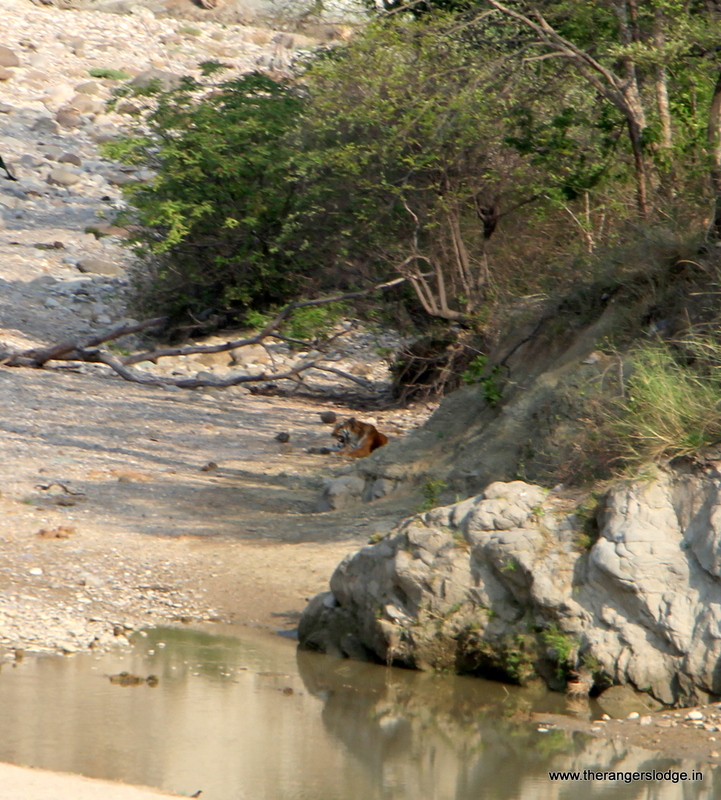 I had also pioneered the group transported canter safaris through Ramganga conducted tours. A Mitsubishi canter was designed with horizontal seats with audio facility on every seat. I can recall giving the introductory talk for about 10 minutes on every canter trip and what should one expect to see more than just the tigers. My trained guide used to be with the driver giving the commentary enroute. The safari became the most popular safari and finally the Govt. took control of it and unfortunately the experience now has suffered majorly. 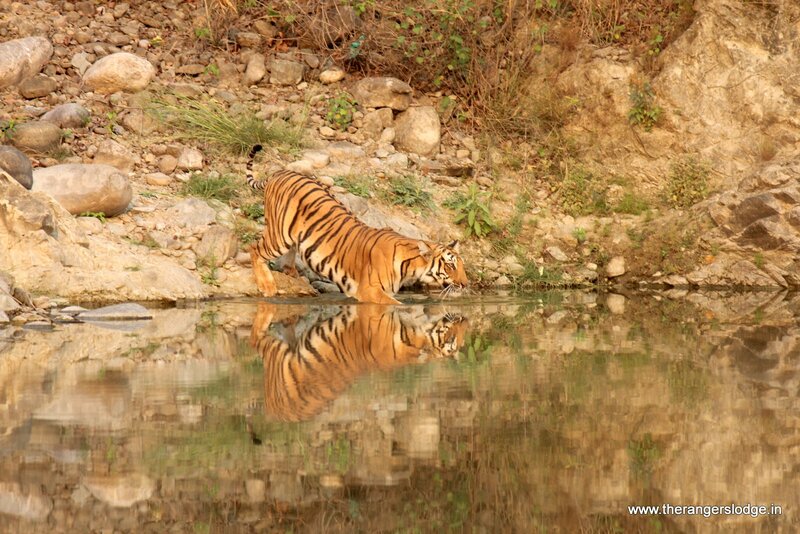 During my tenure with The Corbett Hideaway, I had developed quite a few slide shows on various aspects of wildlife conservation & post every slide show I used to strongly pitch for people’s participation in tiger conservation by instigating the political will. The best strategy was to make all my audience write letters to the Prime Minister of India as well as the Minister of Environment & Forests then. Somehow I was highly satisfied with my role there. Suddenly the development took a major turn in Corbett landscape & number of resorts on the eastern periphery started coming up with little knowledge about wildlife tourism. 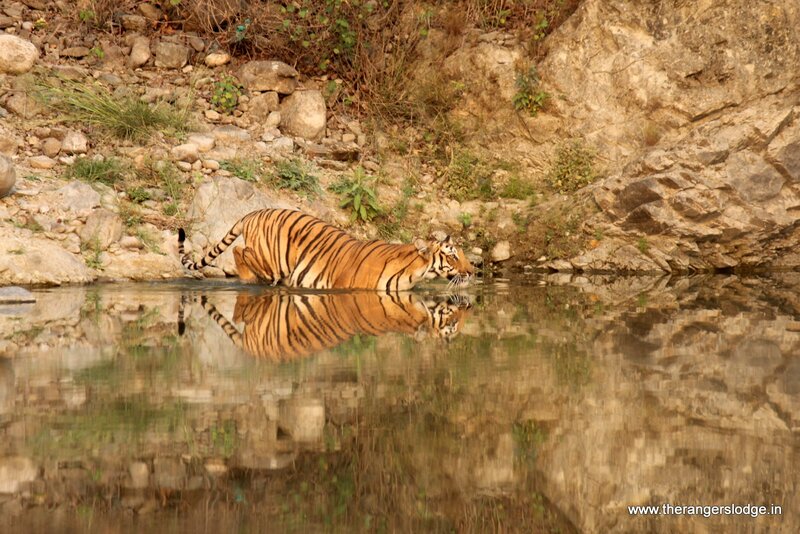 The carrying capacities of the tiger reserve were decided, which were further strengthened post the endorsement of Ecotourism policy envisaged by the National Tiger Conservation Authority (NTCA) by the Hon’ble Supreme Court of India. By 2002 the room inventories around Corbett had gone 3 times beyond the tourism capacity of the park. The tourism capacity itself is debatable but in no way it will ever match with the room inventories around Corbett. The outcome of all this brought a major deviation in the destination’s prime objectives. 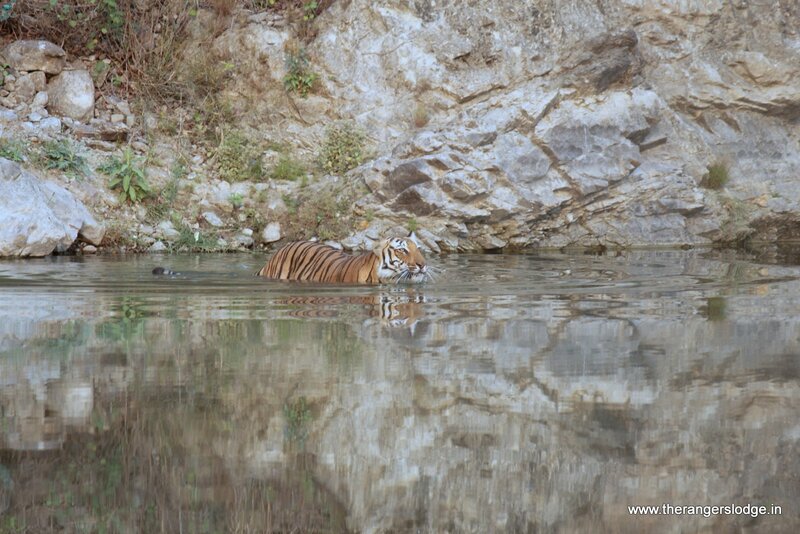 I had serious conflicts with my owners and finally I realised that I do not have the qualifications to promote anything else other than sensible wildlife tourism where the visitors were supposed to go back as partners in tiger conservation rather than just to unwind themselves with the luxuries & non wildlife activities. 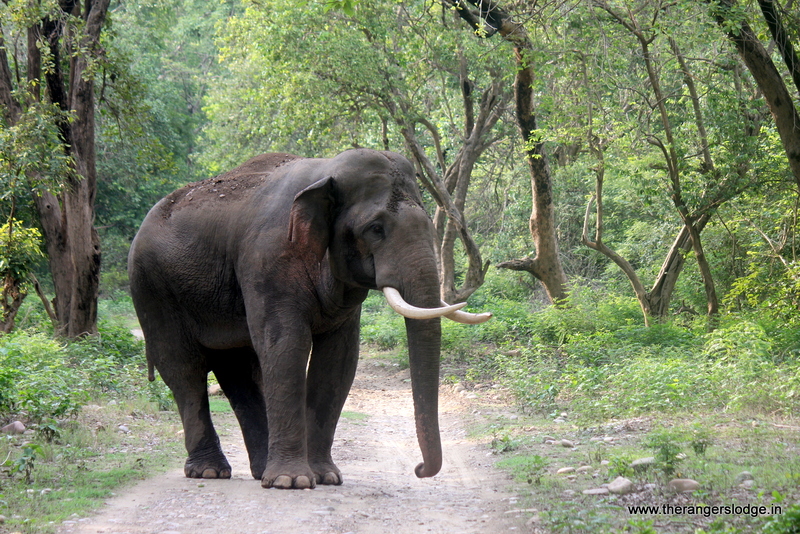 I finally left in 2004 but remained in Corbett. 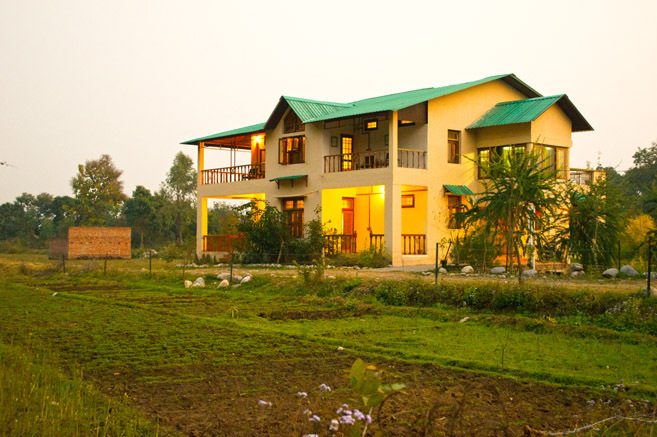 I got an offer from the pristine southern periphery of Corbett where I developed a resort on the concept of an Eco-lodge, which later on became the best wildlife resort in Corbett in terms of landscaping & planning, solid waste management, water management and above all the qualitative naturalistic experience while enjoying the personalised hospitality. 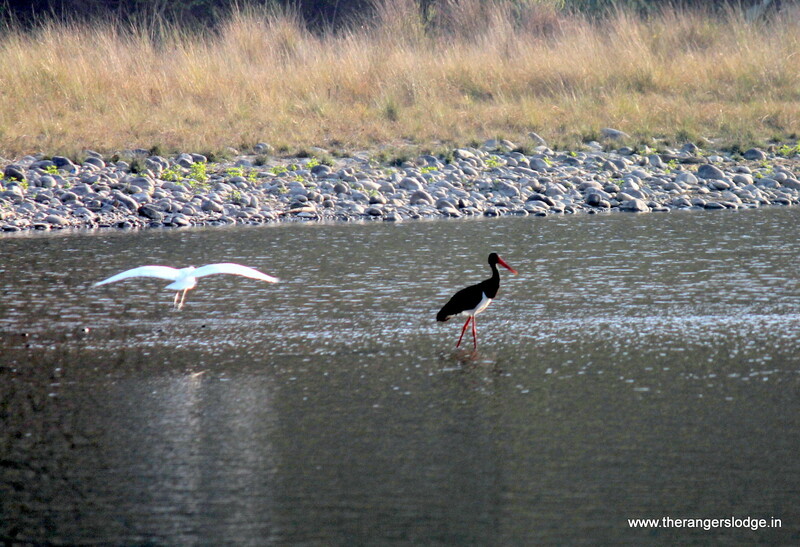 The first TripAdvisor review by a guest here was possibly the first for all the resorts in Corbett in 2007. The Govt. 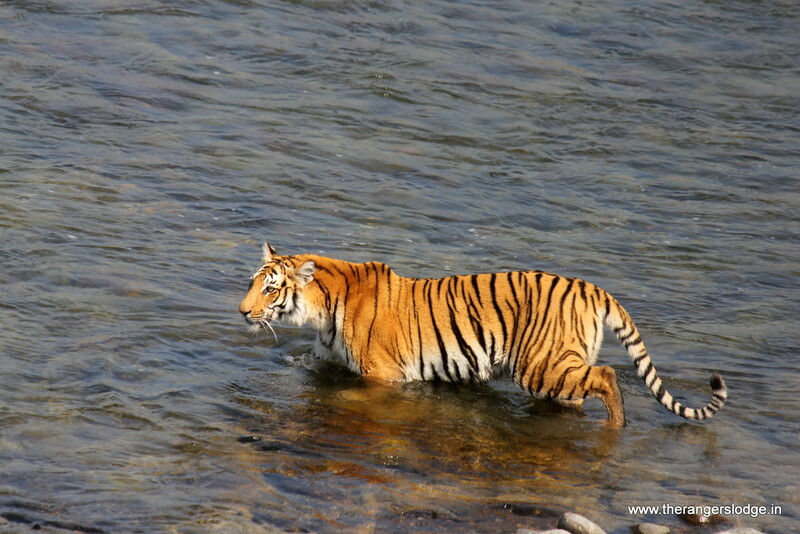 still did not come up with a policy on wildlife tourism & the development around the tiger reserve continued unabated. Consequently, the southern periphery too reached its threshold in terms of more rooms & more resorts. In 2010, I somehow realised the potential of home stays or B&B’s, as they are definitely more popular elsewhere in the world & India offered a great potential especially for the boutique destinations. In 2011 because of personal reasons I left the resort on the southern periphery & started building my house there, closer to the Headquarters of Corbett tiger reserve. Right on the southern edge of tiger’s core critical habitat, I had laid the foundation of my five bedroom house on the lines of British architecture very similar to the buildings of forest rest houses inside the park. I have been running it for the last six years & slowly the wildlife enthusiasts are getting attracted to stay with me to experience my naturalistic skills besides homemade authentic Indian & Mughlai recipes from my wife. My long inning with quite a few resorts in Corbett gave me ample experience to design my rooms, bathrooms and other paraphernalia of hospitality. 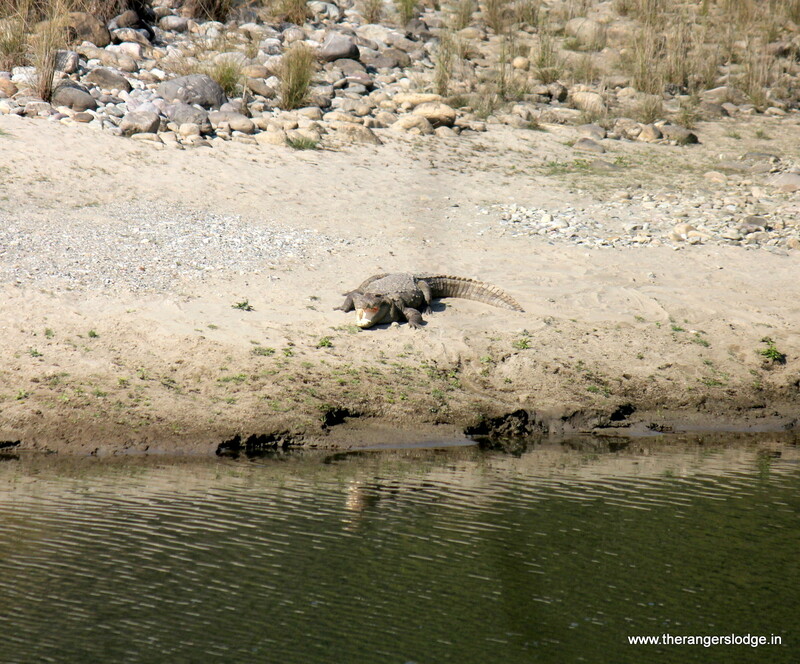 Now, I organise dedicated wildlife itineraries aptly blend with jungle safaris, night stays in FRH’s, Cultural walks through forest & hill villages, intensive bird watching trails, walking safaris through forests with emphasis on ethno-botany, indirect evidences, air-borne species and for the general feel, absorption & listening to the voice of silence in the naturally evolved bio-diverse forests. 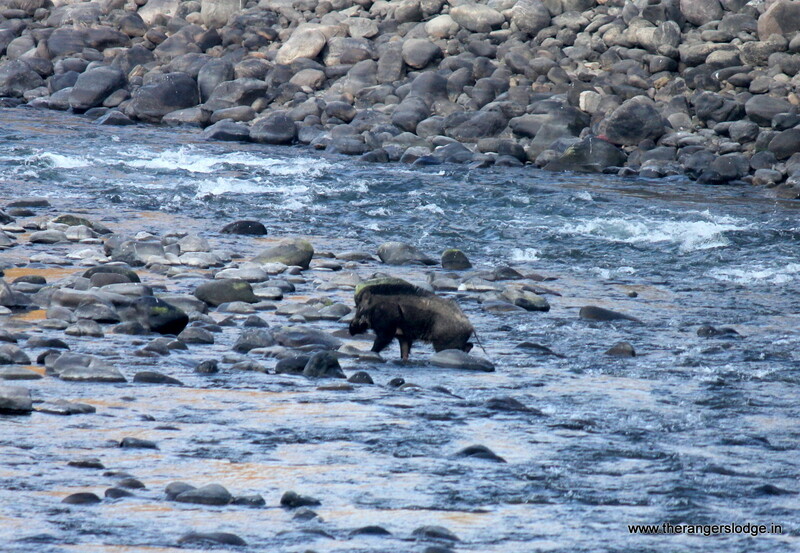 Besides, I also organise Himalayan safaris for landscape photographers, visits to the local villages & markets. 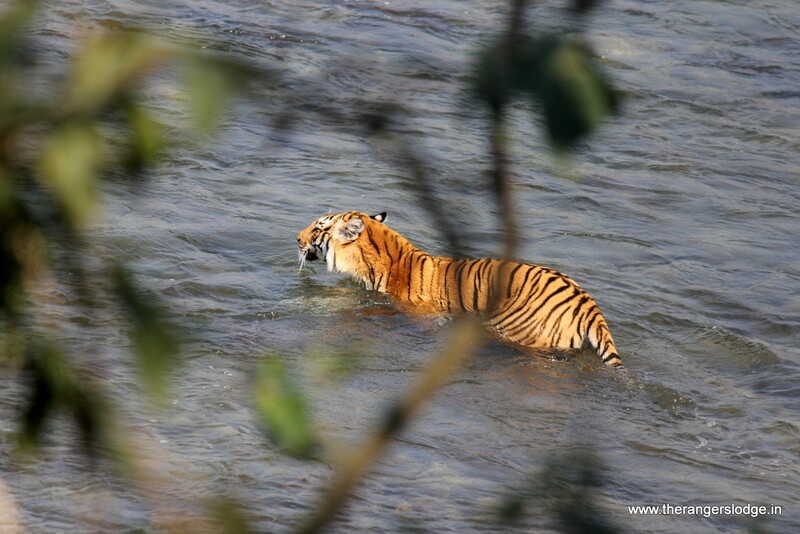 I presume that I need to market myself more on the social networking sites to be visible to potential guests who would have 300 to 400% tiger sightings besides learning the phrase “Tigers are the guardians of Humanity”. The timely interventions of the Hon’ble High Court of Uttarakhand in the existing practices of wildlife tourism in and around Corbett besides other relevant issues directly related to the tiger conservation in Corbett have amply revealed not only the failure of the state Govt. in presenting its case through various affidavits as well as their representatives but also the extent of knowledge, Corbett being the biggest employer in the state as well as the model of tiger conservation in the tiger’s entire distribution range across the world, of all those providing first hand information to the Hon’ble court coupled with the lack of “SUSTAINABILITY” among all the stakeholders in tourism. 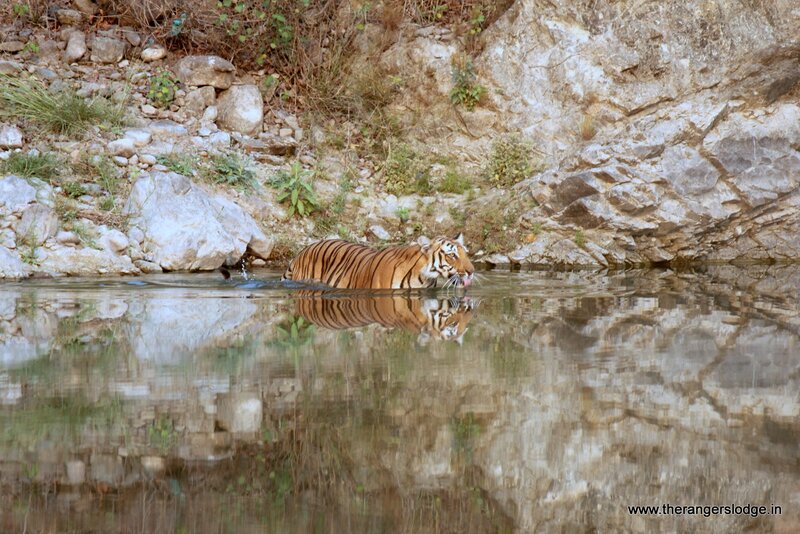 Significance of sensible tourism as a tool for tiger conservation should not suffer!!!! 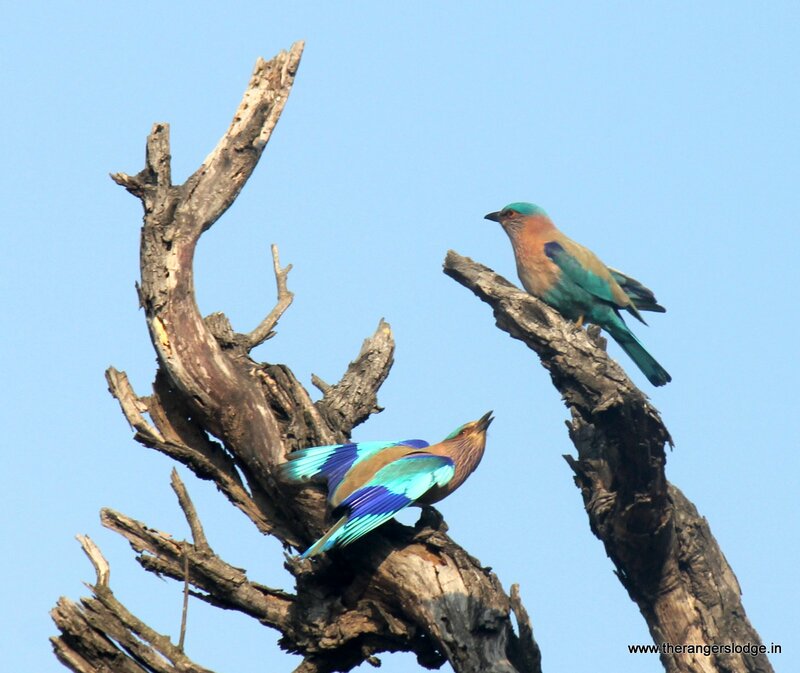 Would you imagine your luck while appreciating the diversity & variety of wilderness in just two safaris in Jhirna & Dhela tourism zones in a span of 03 months, the dhela safari in the mid of June while Jhirna safari in october, 2017! I have proposed full day safari in the two zones right from Novemnber till March and believe you me the visitors here would be far happier than Dhikala or Bijrani in terms of sightings quality & quantity. Mr. Pravine Chester has been here at The Ranger’s Lodge twice earlier and the third time, along with Mr. Madhu, a professional photographer, we made it a point to go to Dhikala for 02 nights although I could join them only for one night. 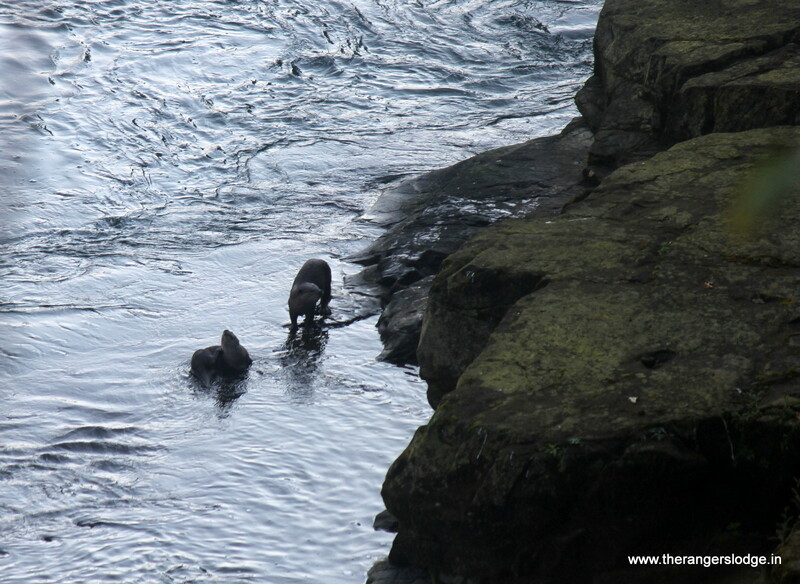 Otters, Steppe eagle as well as Pallas’s fishing eagle, tawny fish owl, red-breasted parakeet, brown crake & a tigress crossing the river were the highlights. I have served in Asaam and possibly those were my golden days in wilderness. Pobitara had the highest density of one horned rhinoceros way back in 1988-89, as there were 64 of them in just 16sqkm of reserved forests. 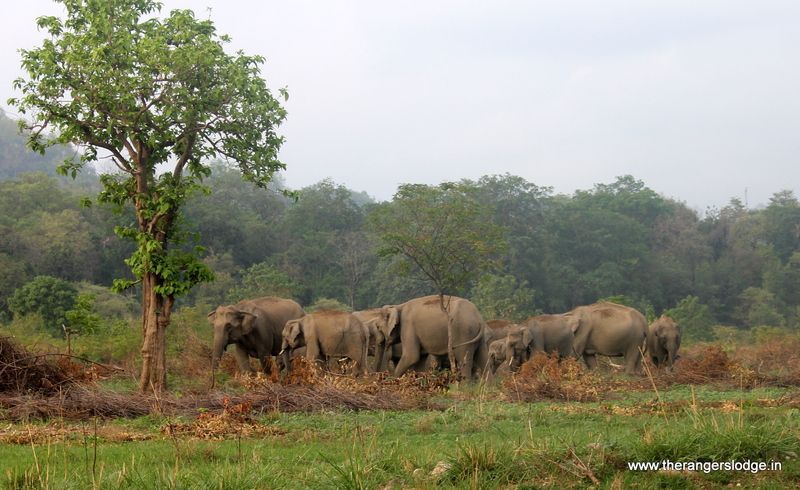 Now there are ore than 100 but the area of the sanctuary has also been increased to more than 40sqkm. 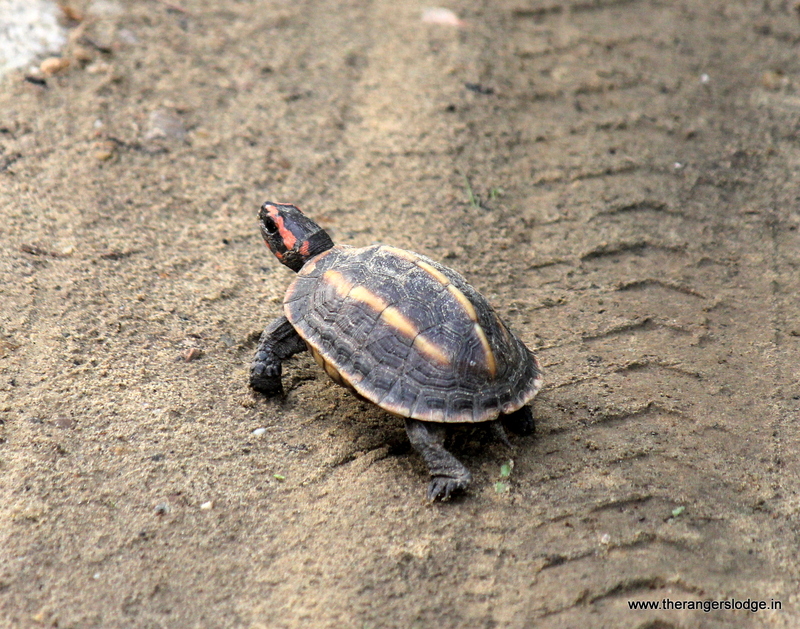 Kaziranga is still the best place to see rhinos flourishing. Assam is possibly the most successful state in India where a dwindling species was conserved with passion, hence, there has been a serious revival of one horned rhinoceros. I have decided to expand my passion for wildlife tourism and have started promoting home stays in quite a few wildlife reserves. 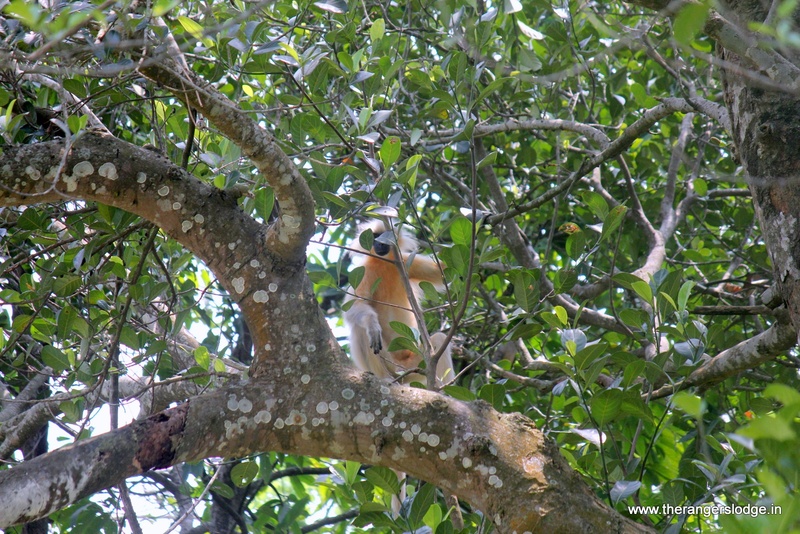 The idea is to link Corbett & The Ranger’s Lodge with Pobitara, kaziranga, Nameri, Manas, Chaprashilla, Hoolock Gibbons, etc. 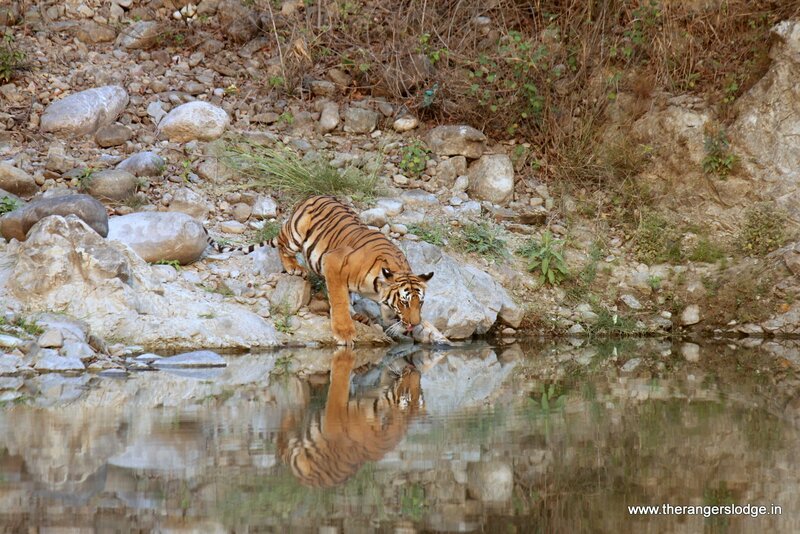 The Chief wildlife warden, Uttarakhand, has warned all the wildlife operators in Corbett against naming the tigers. This is the right step and I fully support it. During my first visit to Dhikala in this season, I was shocked to see the impacting enthusiasm of gypsy drivers as well as the big lens owner photographers. I support wildlife tourism for a different reason. 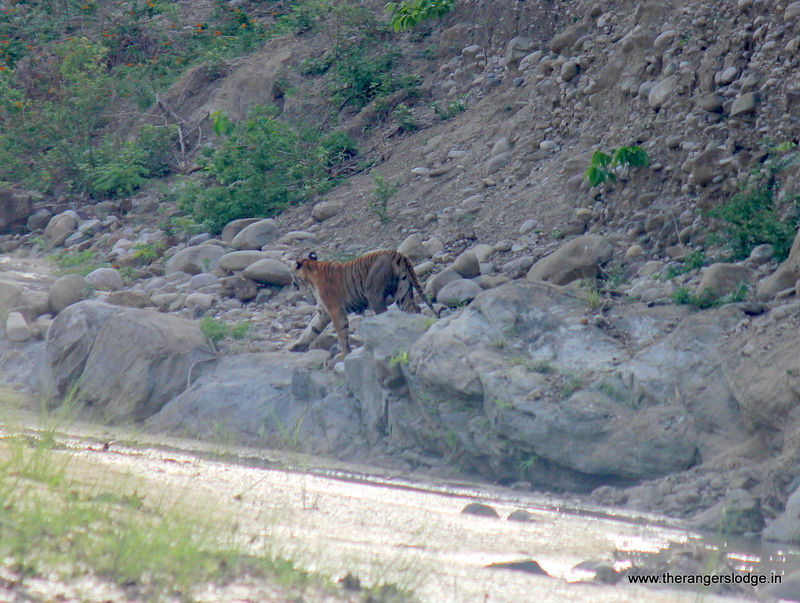 This tigress supposedly named after its regular sightings across Ramganga had adapted to a peculiar behavior of coming, morning & evening, to the far end branch of Ramganga river, obviously posing to everybody without fail. She had been doing for more than a month till my visit. 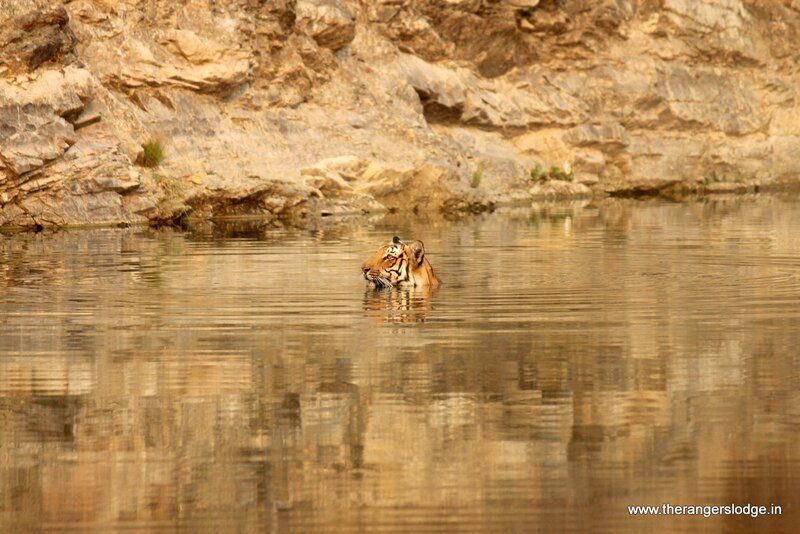 Her cubs had not been sighted for more than 2 months. Despite posing to the clicking cameras for more than 30 minutes in a session, she was callously chased time & again. I had furiously objected to it. The ball may go into the court of Hon’ble Supreme Court and I do not want to suffer, as I would never support this kind of tourism. 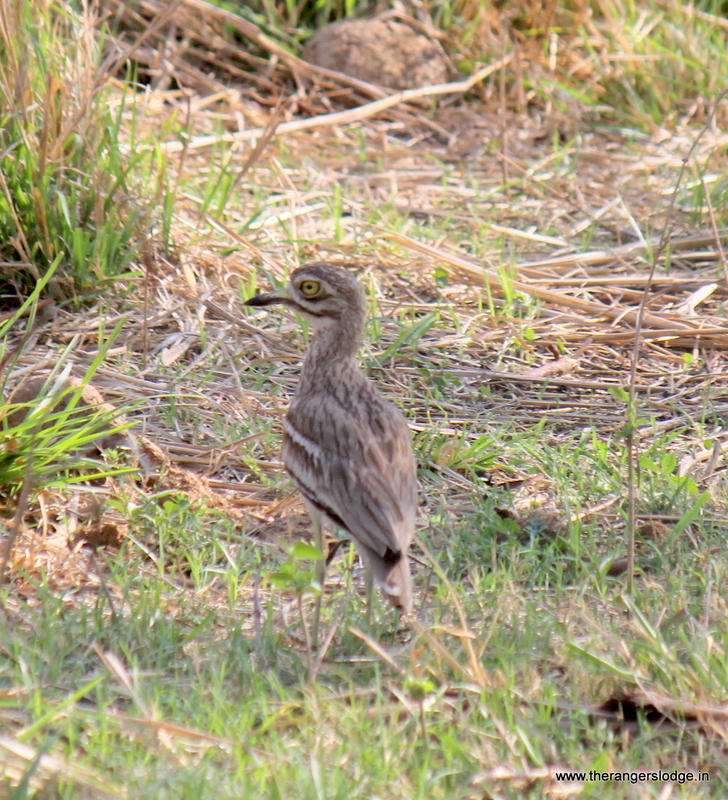 I also captured few shots in the evening while she posed for less than 8 minutes. Time to introspect!!! Visited Assam after a gap of 25 years. 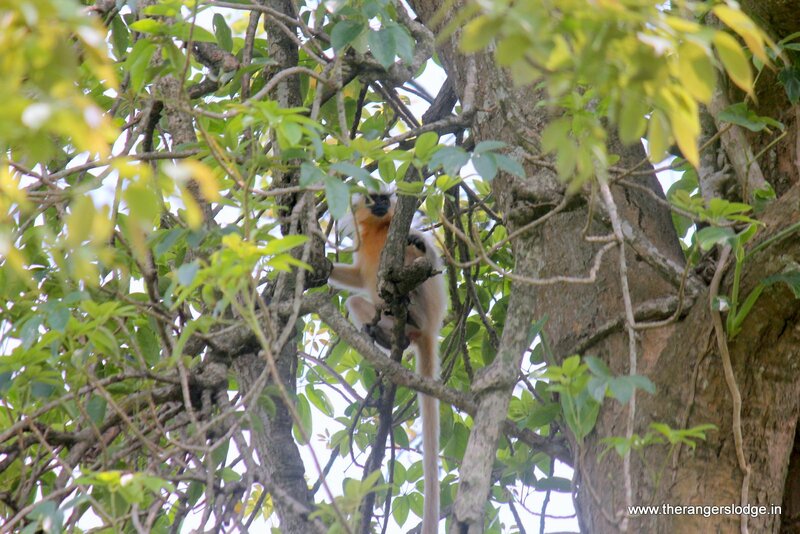 The first & the foremost objective was to see Golden Langurs in Chaprashilla WLS. The Chaprashilla WLS is spread over Dhubri & korajhaar districts of Assam in an area above 45sqkm. 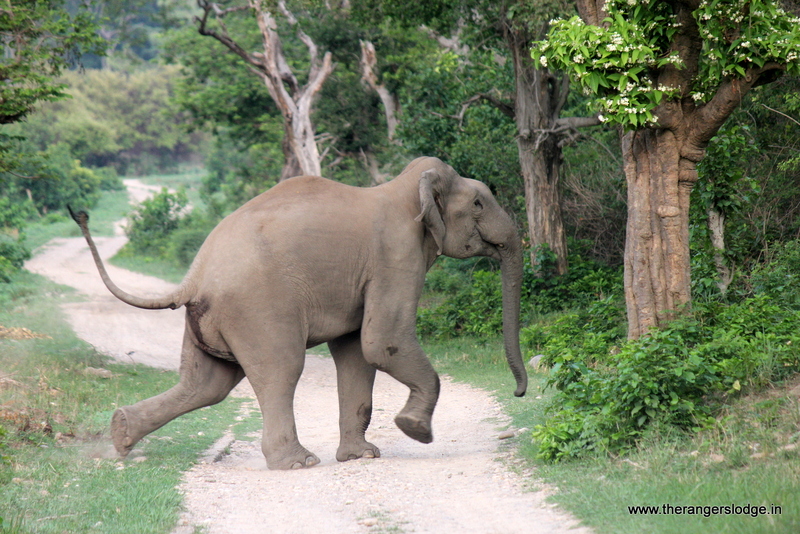 Initially declared a reserve forest in 1966 by Assam Govt., was finally declared a sanctuary in 1994. 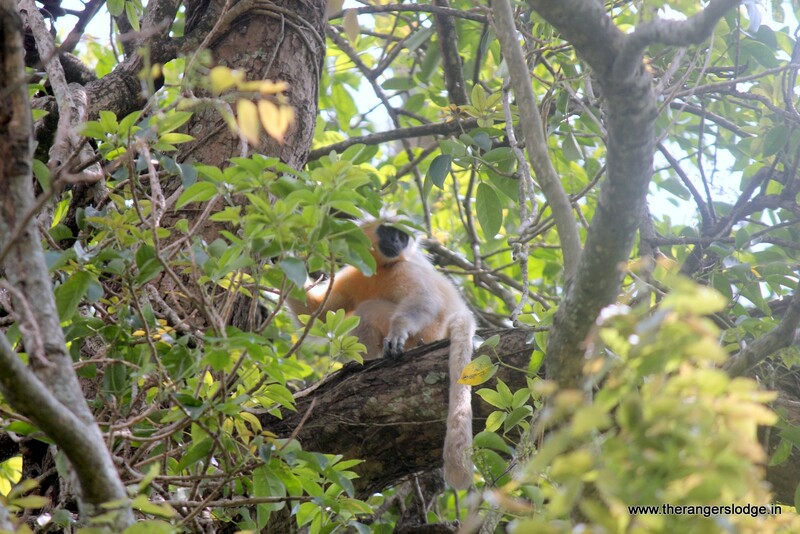 An NGO, Nature’s Beckon, headed by Saumyadeep Dutta had explored the existence of quite a few troupes of golden langurs and then the Birdlife International had emphasized that the sanctuary offers excellent breeding habitats to quite a few endangered birds. The forests are classified as Broadleaf tropical moist deciduous with Teak & Sal being the dominant species besides jamun, Arjun, Terminalia and other associates of TMD broadleaf forests. 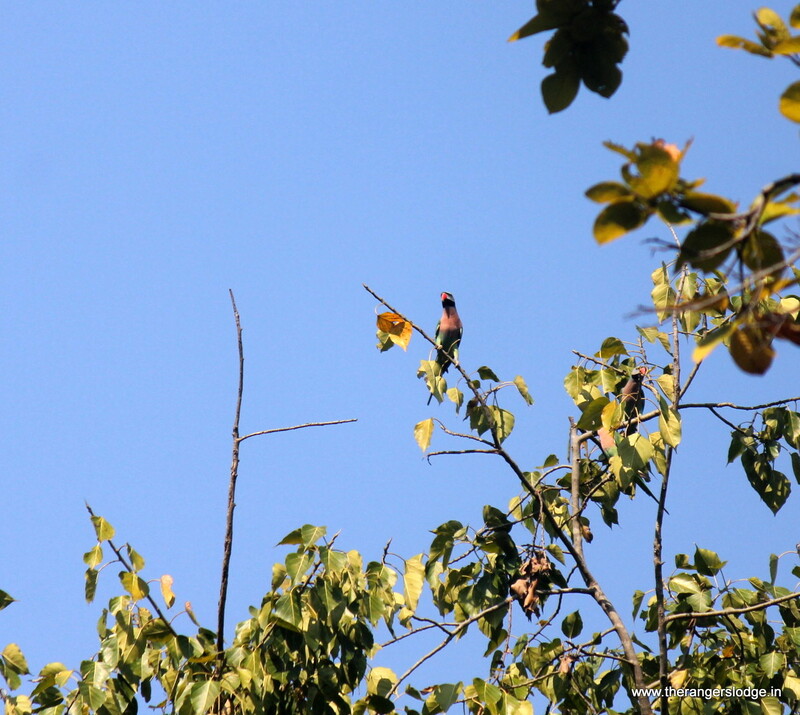 Dheer beel & diplalai beels exist on either side of the sanctuary making the forests more vibrant. 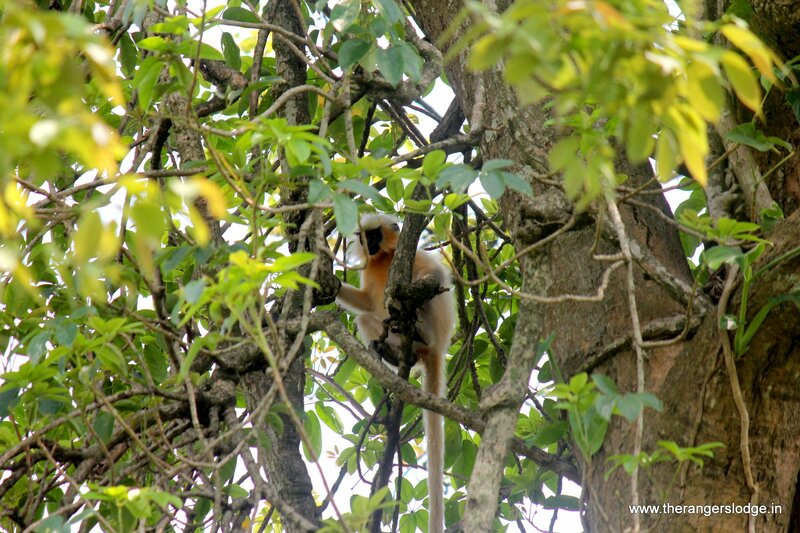 It is the second most protected habitat for Golden langurs after Bhutan. 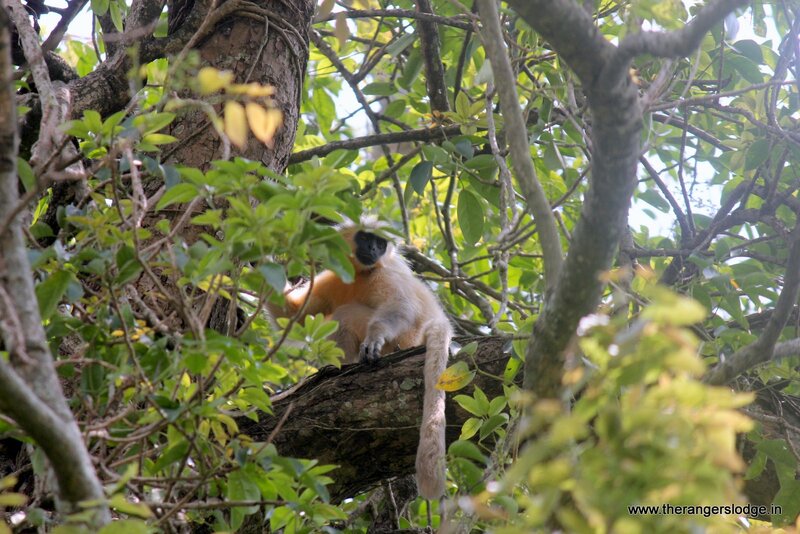 The sanctuary is located on the edge of eastern Himalayan biodiversity hotspot. 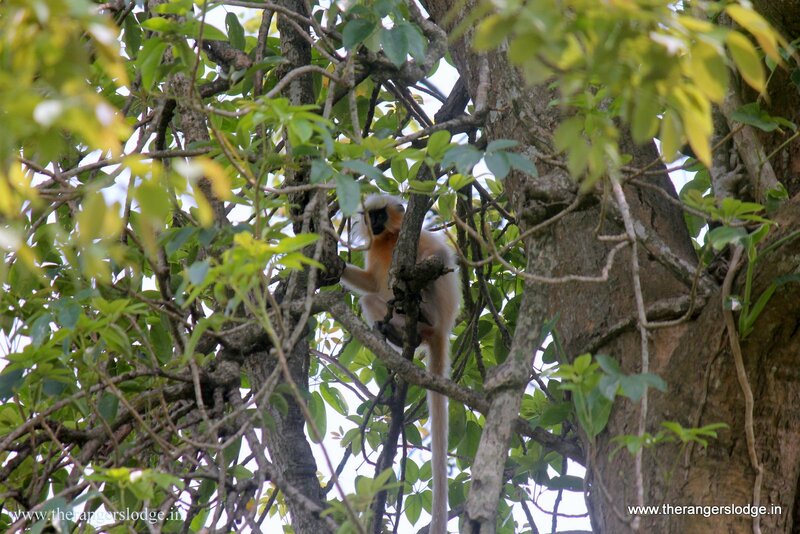 Way back in 1992-93 the population of Golden langurs had dwindled to the level of extinction but the timely action by the good Samaritans as well as the quick action by Assam Govt. in declaring it a WLS, has now given a new life to the species. 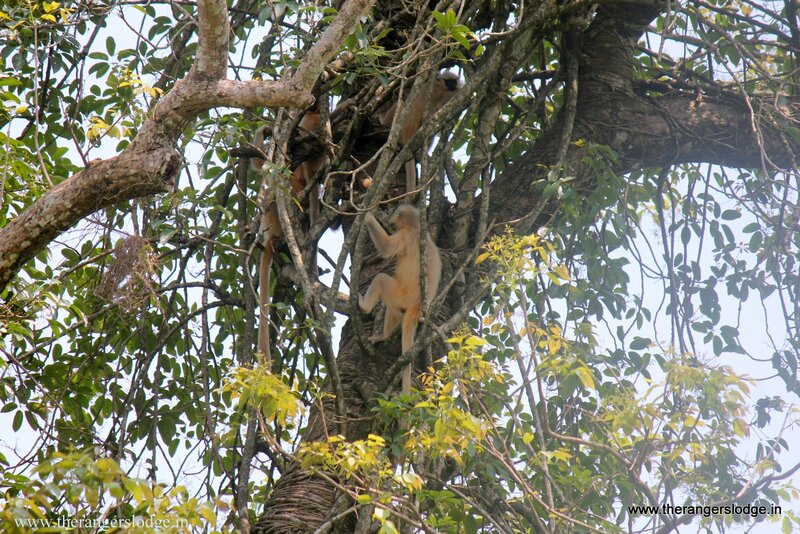 At present there are more than 20 troupes of Golden Langurs inhabiting the area despite heavy human interference. 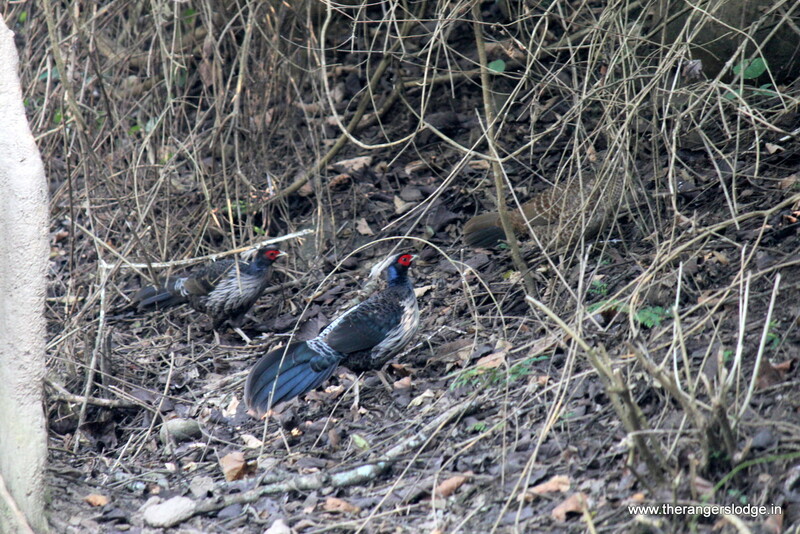 Chinese Pangolin was high on my list but we couldn’t spot it during our short excursion there. 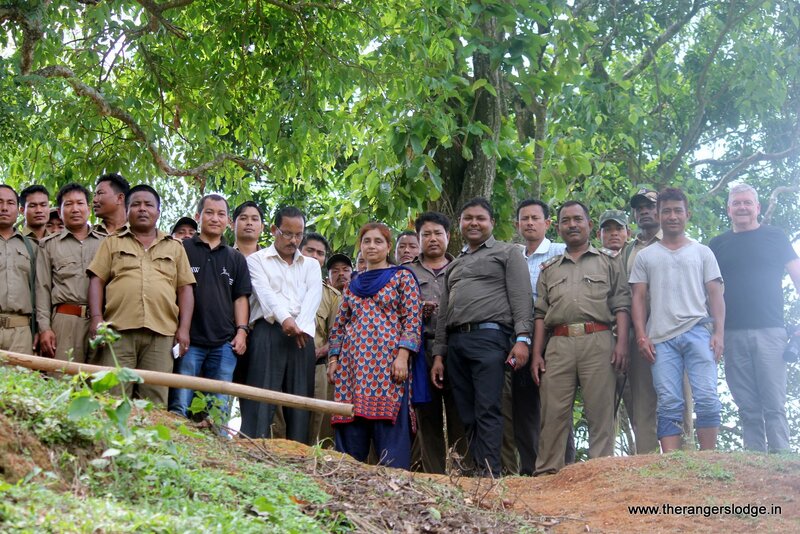 Seizure of 05 tiger skins coupled with untimely strike by the field staff of the forest dept. has forced people like us to check the permits and let the visitors in, as we do not want tourism to suffer at any cost and the state to suffer its reputation. The district administration and the top forest authorities do not want both conservation and tourism to suffer but the field staff stuck to their demands. The second step in the next 48 hours is to guard and patrol the forests by all the tourism stakeholders whether guides, hoteliers, travel agents, naturalists or even those who are dependent on tourism. Tiger first! A real test for true & pseudo conservationists! 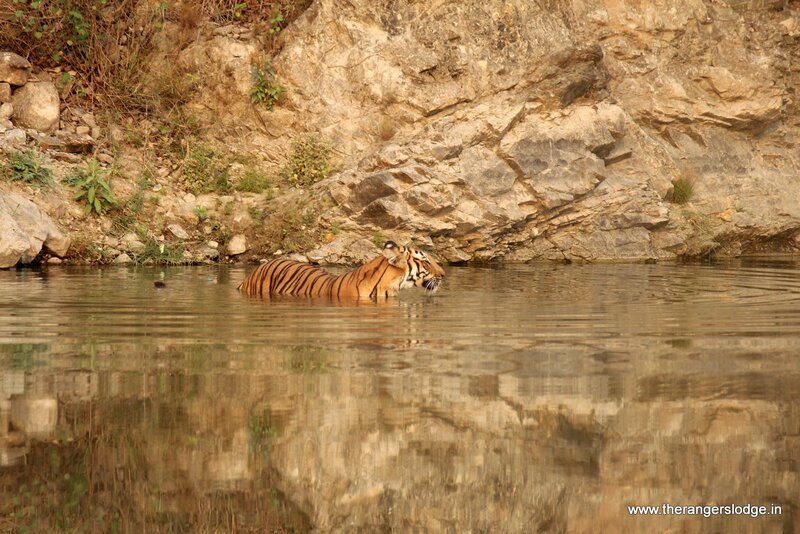 The tragedy is that all these tigers have been killed from the areas with absolutely no tourists around. My statement here stands true that tourism protects the tigers and no tourism areas make them vulnerable to poaching, as there are people dependent on dead tigers, may be minuscule in numbers but take away the bread & butter of large section of the environmentally aware society in specific & humanity in general. It is high time for the people as well as the Govt of Uttarakhand to maintain the reputation of harbouring the second largest tiger population besides promoting wildlife tourism while taking some drastic measures for the situations not to repeat. Khanan or mining has always belittled the values of the forest staff but there have been no shutdowns of khanan gates while the gates for wildlife tourism have remained the softest targets. You know WHY? The priorities change with the resource. 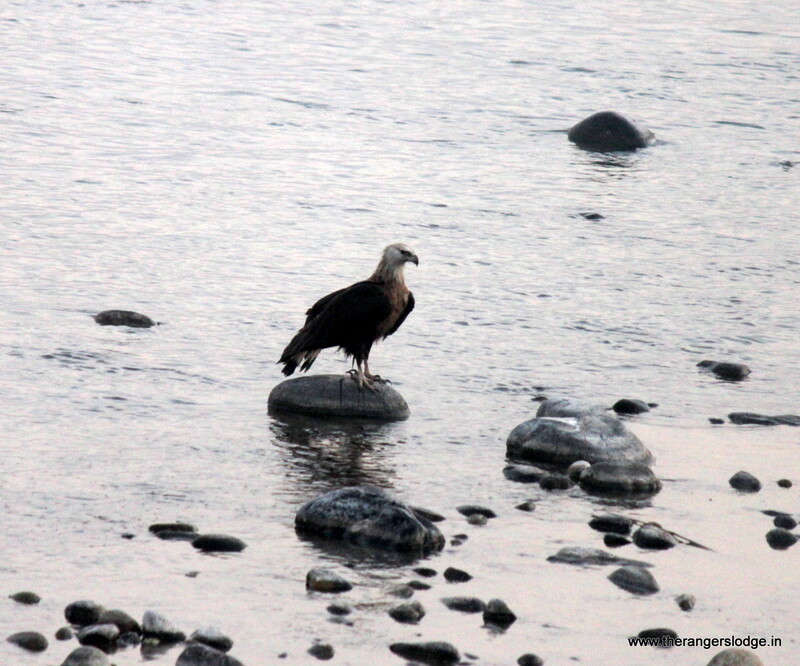 Again khanan can be quantified while wildlife tourism & conservation remain abstract. Unfortunately, Corbett has recently suffered from large scale poaching, as I can vouch about 10-15 tigers lost from the total of 215 besides the untimely strike by the field staff over petty demands, which the striking staff themselves believe that they may not be met. 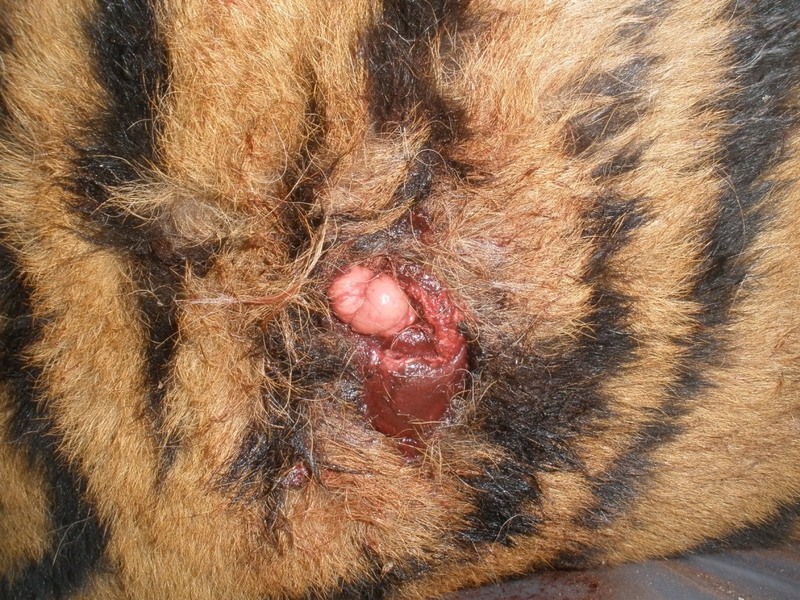 Who is suffering or has suffered – tigers & the tourists? Petty demands of the forest dept. took precedence over conservation & tourism. The state of Uttarakhand is moving into a mess unless drastic efforts such as ESMA, etc. are forced upon for everyone’s betterment. Mind Boggling: 125Kg of bones without skulls, 05 tiger skins seized, 04 uncaught poachers ran away with 04 more skins, 40+ ditches found as against 20+ claimed in the combing, field staff out of the forest check posts, no patrolling thereby leasing time to poachers to go at large. 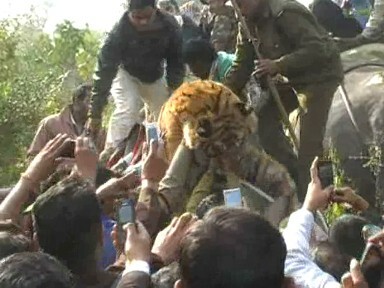 What a mockery of conservation & tourism??!! The state has boasted of the two & look at the situation of the two resources. Good & great that the stakeholders have themselves taken up the cause of the two.